Our super-friendly, approachable, and highly-skilled staff is available to assist in all aspects of your care! We aim to treat each and every patient like our own family! 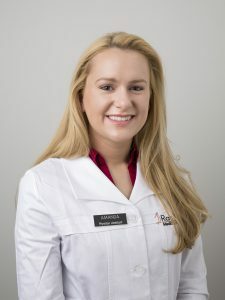 Amanda earned her Bachelor of Science in Biology at Northern Arizona University and her Masters of Science in Physician Assistant Studies at the University of New England. Amanda brings two years of surgical experience and assists Dr. Max in surgery as well as in clinic. You will meet Amanda the day of your appointment with Dr. Max. 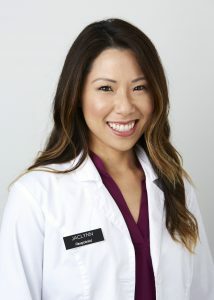 Amanda is excited to bring her energy and passion for medical aesthetics to Dr. Max Lehfeldt’s team. In her spare time, you will find Amanda outdoors – boating/being near the ocean, watching movies, reading, and spending time with family and friends. Please call 888.963.7629 or email Amanda if you have any questions. 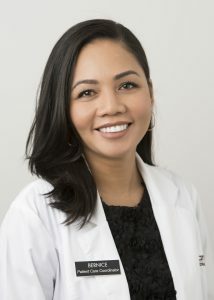 Bernice is the Patient Care Coordinator for our Pasadena office. She has over 12 years of patient care coordinating experience. When you come in for your consultation with our plastic surgeon, Dr. Max Lehfeldt, you will meet with Bernice and she can walk you through any additional questions you may have about your scheduled procedure. She will help you feel relaxed about your big day and coordinate anything you may need help with such as choosing your surgery location, pre-operative clearance, laboratory work that you may need, post-operative garments, and post-operative visits. Bernice is available throughout the entire surgical process. Her pleasant and engaging nature will comfort and ease any anxiety you may have regarding your treatments. Bernice’s hobbies include hiking, camping, cooking, traveling, gardening, and interior design. She and her husband create and weld wine bottle chandeliers! Bernice is another dog and cat lover on our team! You can reach Bernice at the office via phone (888) 96.DR.MAX or (888) 963-7629 or email. Cheryl is our experienced Registered Nurse overseeing your care at Teleos Outpatient Surgery Center. Cheryl earned her BSN at one of the top nursing schools in the Philippines and is fully licensed and credentialed. She has over 12 years of nursing experience – four years has been dedicated exclusively to the care of plastic surgery patients. Cheryl has a passion for plastic surgery and the unique care requirements that each patient needs. She will be one of the warm familiar faces that will welcome you on your surgery day. Cheryl takes great pride in her work and prioritizes your needs. She will be your voice and advocate throughout the entire surgical process. Her energetic, but soft disposition, will send you home with a comfortable smile knowing you were well taken care of during your time with us. Cheryl is very patient and likes to teach, educate, and have everyone involved in their care. Please feel free to ask her questions – she is eager to share her knowledge. Cheryl will be sure your responsible ride or loved one will be fully equipped and knowledgeable to continue caring for you at home. During her spare time, she enjoys galavanting around Disneyland, museums, beaches, exploring new places and delicacies. Cheryl also knows how to relax at home with her nose stuck in a book and has even been known to binge watch a series or movies from time to time. Cheryl is the consummate professional dedicated to compassionate care and your well being. She is a great part of what Teleos Plastic Surgery is all about! 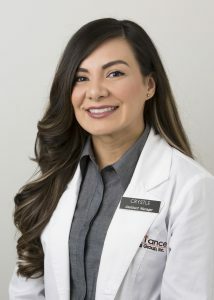 A Certified Medical Assistant, Crystle has many years of experience in the field of medical aesthetics. She is dedicated to helping you through the treatment process from the first consultation through to the post-operative recovery period. Crystle is fluent in Spanish and is extremely proud to be working with Dr. Lehfeldt and his skilled team here at Teleos Plastic Surgery. She wants to make your experience with us as comfortable and pleasant as possible, and encourages you to ask any questions you may have. In her spare time, Crystle loves listening to country music, traveling, and spending as much time as she can with her grandparents and Malibu, her adorable Maltese. You can contact Crystle via email or by phone at (888) 96.DR.MAX (888.963.7629). Jaclynn has an extensive background in cosmetology and hospitality. She is always eager to give patients a warm welcome and to do what she can to make them feel comfortable here at our office. When she’s not working, Jaclynn enjoys cooking delectable vegan food and spending time with her two beloved dogs. She is also a certified personal trainer and loves helping individuals develop healthier lifestyles and good exercise routines.